Disclaimer: There are spoilers all over this post, son. If anyone hasn’t watched Donald Glover’s Atlanta yet, be warned, I’m spilling all of the beans, bro. I’m just trying to give the people a heads-up, man. Now, let’s go. Let’s just skip the formalities and get right to the proceedings, son. Donald Glover is my hero, man. 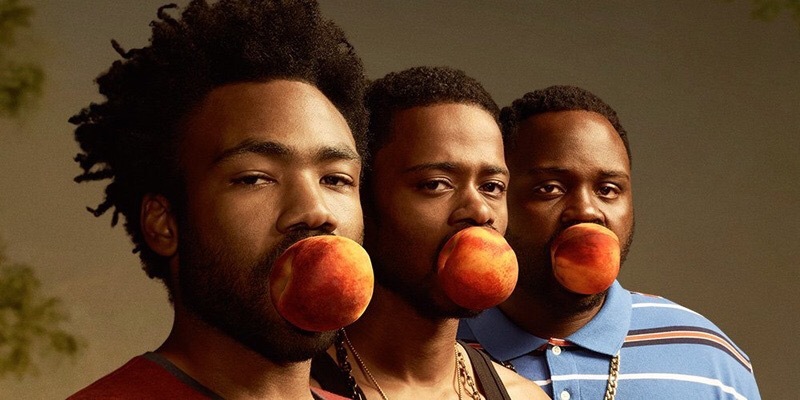 I watched the first two episodes of his new show (Atlanta) last night, and I couldn’t be more hyped for what’s to come. For me, it’s refreshing to see a Black show on TV that doesn’t revolve around clichés, stereotypes and overall coonery. Side note, I’m well aware of the fact Black-ish also exists, so let me cook, man. In any case, as it stands now, the characters seem to have understated complexities that will surely evolve as the season progresses. With all of that being said, allow me to talk about some of my favorite scenes. Ready? Let’s get to it, son. The first scene that jumps out at me is the one where Alfred (Paper Boi) gets into an altercation with a stranger over his car. While watching the events unfold with my fiancée, we found ourselves at odds in terms of how he should’ve handled the situation. On one hand, she thought he should’ve just left the situation alone. On the other hand, I COMPLETELY understood why he confronted that dude. He was just sitting in his car, minding his own damn business, and this random guy decides to kick off his side view mirror. Man, I would’ve been LIVID, son. Now, I wouldn’t advise anyone to shoot another person over this, but I’d absolutely give that clown a couple of kidney shots, for good measure. Next, another scene that sticks out to me is one that occurs while Earn is in jail. Through no fault of his own, he’s sitting in the middle of a conversation between some other dude and a trans woman. During the dialogue, the man waxes poetically about the days he and the lady used to bump uglies, seemingly unaware of the fact she’s transgender. When the other men in the holding area call the guy out over this, he’s simultaneously overrun with anger and confusion, all while trying to establish the fact he isn’t gay. In a scene that probably lasted less than five minutes, the show was able to tackle a perception of the transgender community without being crass. It definitely takes a handful of bravery and gravitas to open up such a taboo dialogue in only the second episode. Lastly, this next observation isn’t about a particular scene, but I have to say, the homie Darius is hilarious, man. Any man who can talk about lemon pepper wings, his balls been crushed and the meaning of life with the same level of deadpan is a genius, son. Honestly, whatever weed that dude is smoking, I want in, bro. He doesn’t seem to have a single care in the entire world. That’s truly the way to live, man. In the end, there’s nothing else to say, bro. So far, this show is awesome. I’m definitely looking forward to the upcoming episodes. Viva la intelligent writing, man! I’m pretty sure that last sentence didn’t make much sense, but who cares, son. Fight me. Good day. This entry was posted in Television and tagged Alfred Miles, Atlanta, Brian Tyree Henry, Childish Gambino, Darius, Donald Glover, Earn, Earnest Marks, FX, Keith Stanfield, LGBTQ, Paper Boi, Trans Woman, Transgender, Van, Vanessa, Zazie Beetz. Bookmark the permalink.